400 Calories or Less with Our Best Bites - This is one of my favorite food blogs and definitely one of the most reliable I've come across. I loved their first cookbook and am looking forward to seeing this low calorie cookbook! Listening: Nothing. I figured I would finish listening to a David Sedaris I had started awhile ago but now there's a waiting list for it and I haven't had time to get anything that's actually available now. Watching: I've been watching Murder She Wrote on Netflix and am actually really enjoying it. Partly because each episode is like a different cozy mystery and partly because it reminds me of both of my grandmothers. One used to watch it and one reminds me a lot of Jessica Fletcher. I also discovered Murder She Bakes: A Chocolate Chip Cookie Mystery which looks like it's based on the Joanna Fluke series. It's coming up on Hallmark so while I'm not really expecting stellar quality I'm excited to watch it. This is the 2nd book TV adaptation I've found on their lately (the first was Charlaine Harris' Aurora Teagarden series) so I'll be keeping a close eye on it. Eleanor came by last weekend and it was nice to have dinner with her. Between work, school, and friends it's hard to get together so it's always nice when it happens. I'm working on Emma's graduation announcements and it looks like they'll be here next week. Then she gets the joy or addressing them and sending them out. Paul's physics class went to an amusement park as a field trip and he got back on Friday - sunburned and exhausted - and they had a great time. I'm not sure their knowledge of physics. We're also going to pretend that I didn't originally spell "physics" as "psychic" which would be an entirely different class. I dug up this old recipe for Stuffed Pizza Sticks from Southern Plate and they were a big hit. They're not necessarily the healthiest but the're so easy and so tasty that even the picky Tornado ate them. I also found this recipe for Copycat DoubleTree Chocolate Chip Cookies from Iowa Girl Eats that are delicious and have a great texture! Nice and crisp but still soft. Saturday: Crumb - A Cookbook Review. I'm salivating at the idea of those choc chip cookies! Yummmm! I really like Murder She Wrote. I watched it back in the day but then taped it every day when it reappeared on our TV screens a while ago (until I started seeing the same episodes again and again!). I was surprised at how much I'd forgotten AND how many famous people appeared on the show. I've been surprised with the number of guest stars as well! I really enjoyed the cookies. I hope you enjoy them! I loved watching Murder She Wrote when I was younger with my mum. :) I love Charlaines Skokie Stackhouse Series but haven't read any thing else from her. Do you recommend her mystery series? Stuffed Pizza Sticks sound yummy. Have a great week. We love the pizza sticks. They're a great quick dinner and the leftovers reheat wonderfully! I really enjoyed Harris' Aurora Teagrden mysteries! I haven't even started reading the first Krewe book !!! But I've got it ;) I remember watching Murder she wrote and loving it, especially when the enquiry took place in her small town, not so much when she went visiting friends in different places. My favorite scenes were at the hairdresser's, with all the women gossiping, lol ! I love those scenes as well though that is a very dangerous small town! I love the Krewe books and can't wait to read this one! I haven't read the first one yet but I want to! Busy, busy week, Katherine! I'm glad your kids are doing well in school, and that you have one who is graduating soon, too. It's so strange when they become almost (or fully) adults, isn't it? I think I'll check out that low calorie cook-book, I don't work out as much as I used to, and I can feel my clothes getting a little tighter - that's not good! I hope you'll have a wonderful week ahead. Happy reading. I'm excited about the cookbook. I've had good luck with their recipes and I could use some lightening up! It's definitely weird when children have the audacity to turn into adults but it's fun at the same time! This is my first time visiting your blog. I am visiting you via The Sunday Post. 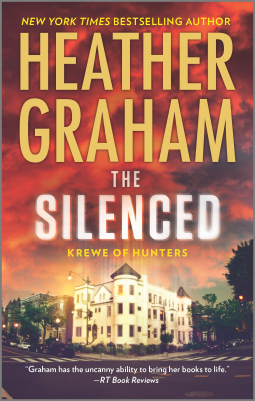 I have read one of the Krewe Series by Heather Graham and want to read more so I was happy to read your review of The Silenced, I look forward to reading it. I must read something by Heather Graham....I am definitely curious. Enjoy your books, and have a great week. Graduation is always an exciting time. My two granddaughters will be graduating. Can't wait to hear more about 400 Calories or Less with Our Best Bites. I'm not familiar with the blog - how have I missed that? Busy and fun week for you, Katherine! Your kids sound so well-adjusted and happy, yay! I am so intrigued by your cookbooks. We are currently shopping for a healthier eating plan (not diet) that we can adapt to. We can't, and won't cut out certain things, but need to drop a few pounds and more importantly keep in good health. My parents used to watch Murder She Wrote as reruns in syndication along with Law and Order every afternoon when they were older. I remember hearing her describe the plots to me and it sounded like a good show. Now why haven't I read a Heather Graham yet!? I made the mistake of picking up a really old book of hers before the Krewe series and it seemed to be just a romance, so I am still in search of a good starting point to begin reading her. Runs to NetGalley. Be right back! You got the new Krewe book! I love Heather's books and am caught up on the series now. I requested it yesterday and waiting for a reply. Crossing fingers and toes. Better check my emails. I love Murder She Wrote, it's a bit of a comfort watch for me. But I haven't seen an episode for years. And why have I never read a Graham book!? Lots of reading accomplished! I haven't tried a Laura Lee Guhrke book, sounds like I should try one. Enjoy your new reads and thanks for stopping by earlier! Love your new books this week! Heather Graham is (still) on my list of authors to try; I have one or two of her books on Kindle. 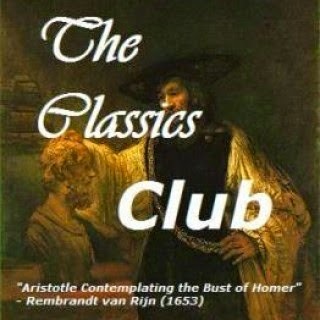 The mysteries all sound like fun, and I liked the one Guhrke book I read - I ought to track down some more. I'm tempted to try paperbackswap, but I've got so many unread books from the last several library book sales that I probably should stay away from it until I get through some of them! Emma must be getting really excited about her graduation. Congratulations to her and to you! Mariah Stewart is another author that I used to love to read. The only reason I stopped is because I switched reading genres to cozy mystery, but I'm determined to get a better mix of cozies, romances and romantic suspense books. I just need to catch up on some reviews first. A psychic class would have definitely been a very different class, but oh so interesting! I love diaries and journals in books, so I'm going to have to check out Between a Rock and Hard Place. I loved Murder She Wrote!! She is a fun character. I had no idea this was on Netflix so I'll have to find time to watch some episodes.